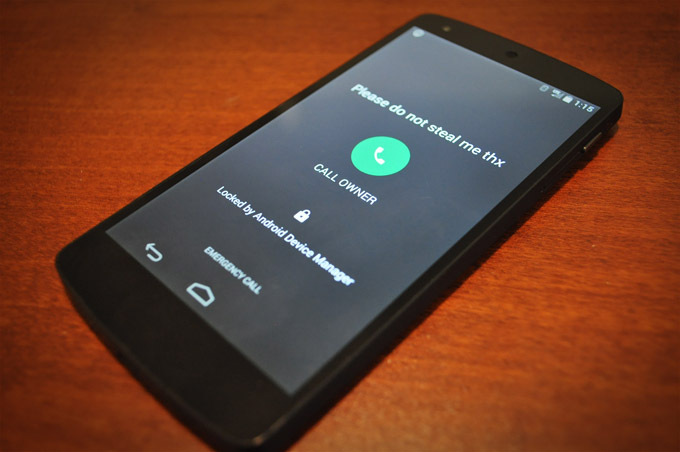 If you lose your phone, just head over to Google’s browser-based Android Device Manager. Tap the lock button, toss in a “Recovery Message” (read: a plea to whoever finds the phone to not be a jerk) and an unlock password, and add a phone number where you can be reached. Bam! Whoever finds the phone now has a way to instantly reach you with the press of a button — but since the rest of the phone is locked down behind a password of your choosing, that’s the only thing they can use your phone for. One catch: even if you’ve got an Android phone that comes with the locator functionality out-of-the-box, you’ll need to update to the latest build for the phone-the-owner functionality to work. You can find the update in the Play Store here.